Magic Vs. Hawks - Sunday, March 17 at 6:00 P.M. - Orlando Magic Forum - TrueBlueNation.com - The Official Orlando Magic Fan Community! 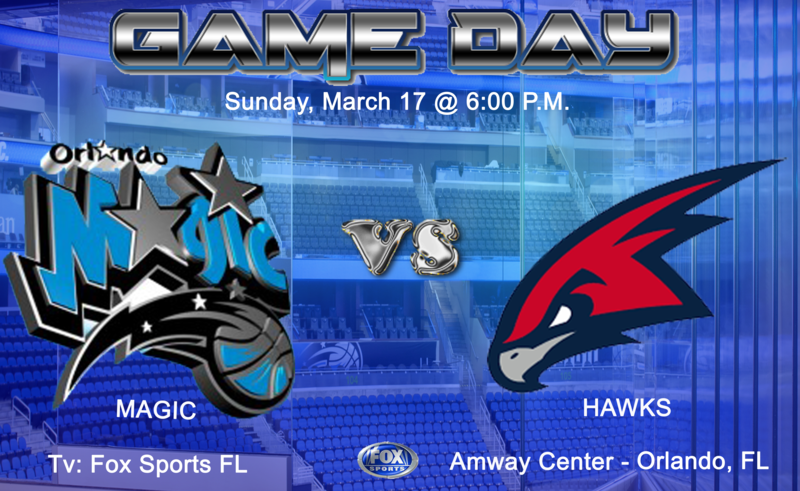 Magic Vs. Hawks - Sunday, March 17 at 6:00 P.M.
WE'VE GOT THIS . . . GO MAGIC!!! Looking forward to going to the game today and seeing us win again. The guys looked focused against the Cavs. I expect the same again today. In the name of the Irish, we will win today and the Heat will lose!!! The team I love is about to play MCW in a real NBA game 2 days after signing him and during a playoff race. We look really flat. Need to pick up the intensity.